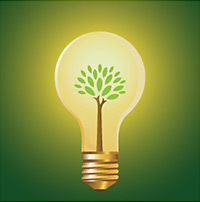 Managing and reducing energy consumption not only saves money but also helps in mitigating climate change and enhancing corporate reputation. The primary objective of energy management is to achieve and maintain optimum energy procurement and utilization throughout the organisation which may help in minimizing energy costs and mitigating environmental effects. Infact, energy management is widely acknowledged as the best solution for direct and immediate reduction of energy consumption. Reduce risk: Reducing energy use helps reduce risk of energy price fluctuations and supply shortages. Regulatory requirements aiming to reduce carbon emissions and energy use require accurate energy data collection and effective management systems. Good energy management practices are compliant with these requirements and help fulfil regulatory obligations. Businesses worldwide are showing interest in appointment of a formal/informal energy manager to coordinate energy management activities. The main task of an energy manager is to set up a system to collect, analyse and report on energy consumption and costs which may involve reading electricity meters regularly and analysis of utility bills. Energy management creates a better workplace environment for employees by improving working conditions. Many businesses are now setting dynamic strategic direction to achieve immediate reduction in energy consumption. The trend towards energy efficiency will only continue to grow to sustain this demand. With increasing environmental awareness, there is significant room for growth and leadership for the adoption of energy optimization introduction of specialized energy-saving systems and implementation of sustainable energy technologies.